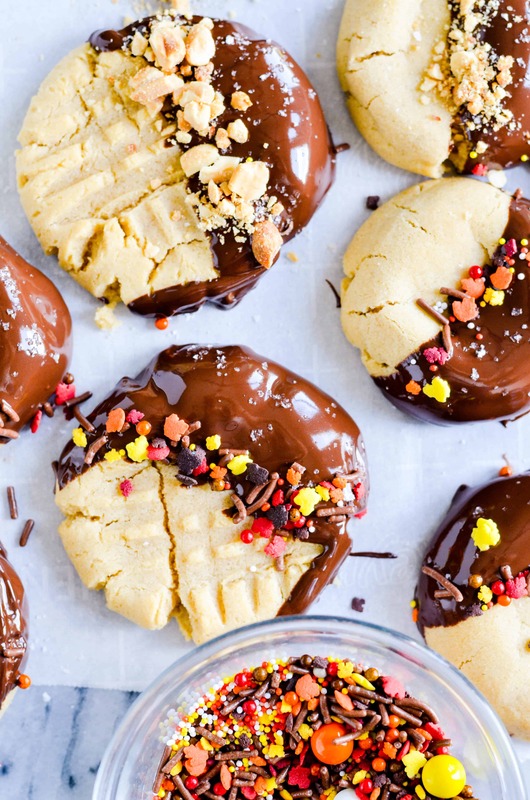 These Peanut Butter Cheesecake Pudding Cookies are my all-time favorite peanut butter cookies! 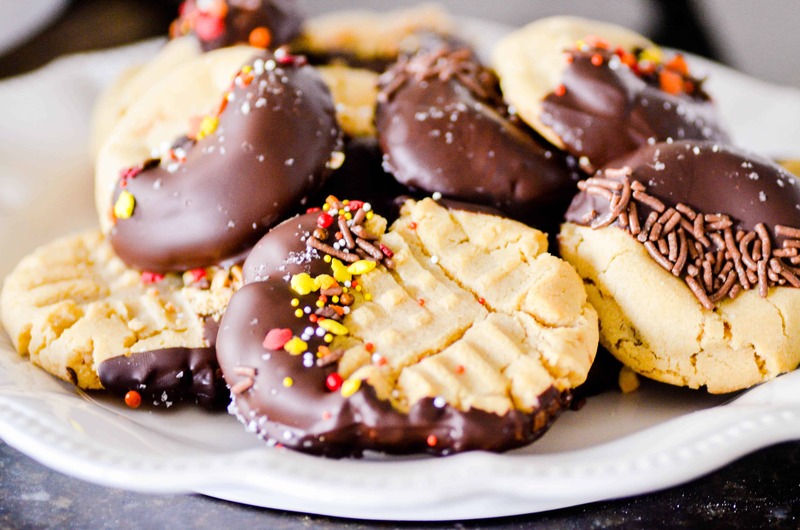 We love to eat them dipped in chocolate. CHECK OUT MY FAVORITE COOKIE RECIPES ON FACEBOOK! 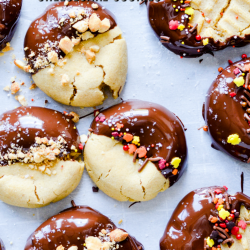 This recipe for Peanut Butter Cheesecake Pudding Cookies is the only peanut butter cookie recipe you’ll ever need!! Unlike traditional peanut butter cookies, I prefer to not press these down with the traditional criss-cross imprint before baking. I like leaving them thick and puffy! However, I do like to give them a gentle press with the back of a spoon when they come out of the oven. I can’t resist the crackly edges it creates! You can press them down before baking if you’d rather. If you don’t have cheesecake flavored pudding mix, it’s no big deal. You can definitely just use vanilla. Butterscotch is good too (but it will definitely change the flavor, FYI). Our family traditionally dips these in chocolate. But that’s optional (but not really ????). 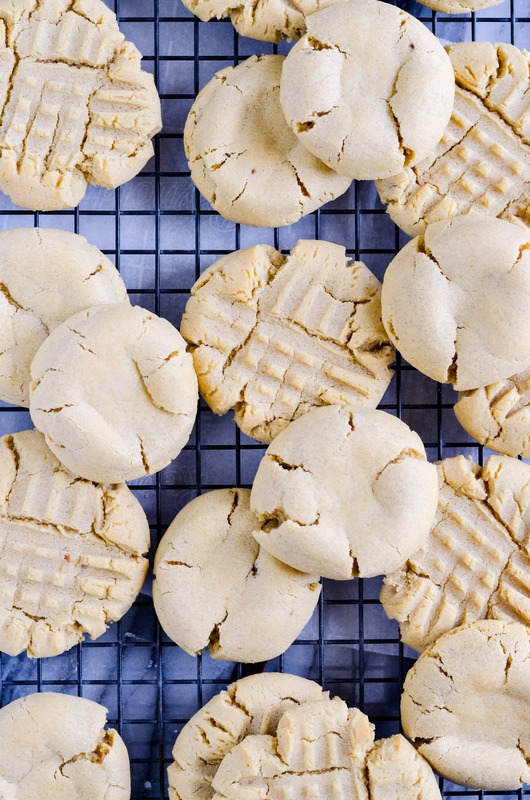 Beat together the peanut butter, shortening, brown sugar, and granulated sugar until creamy. Add the eggs, one at a time, beating in between each addition. Add the flour, baking soda, and pudding mix. Mix well. Scoop 2 tablespoons and roll into a ball. Place dough on an ungreased baking sheet. 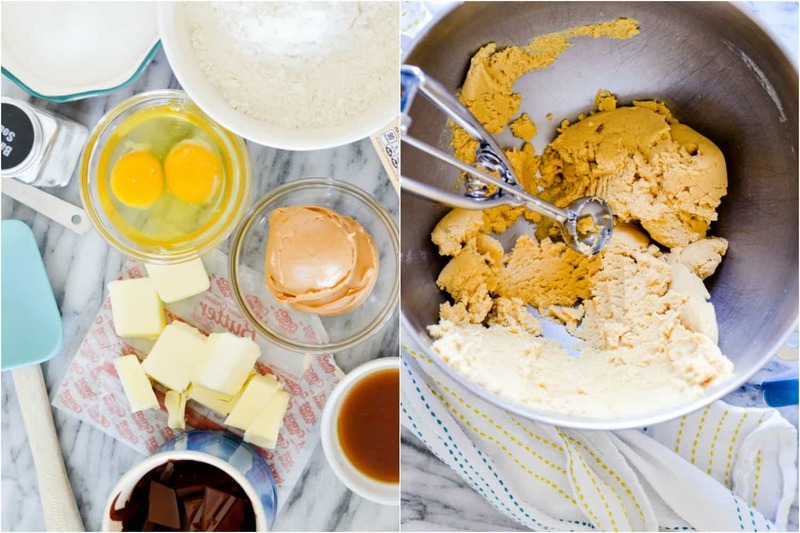 If desired, use a fork to press a criss-cross into the cookie dough. Let cool on the baking sheet. 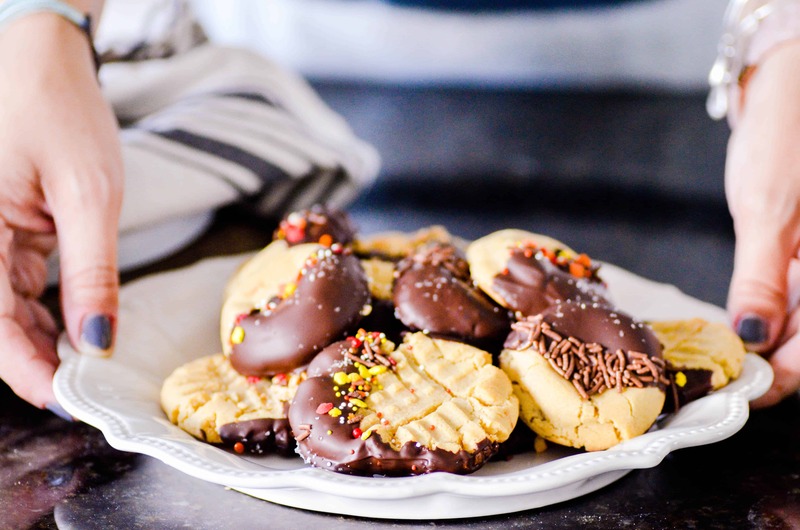 Dip each cookie in melted chocolate, let cool on wax paper to harden.